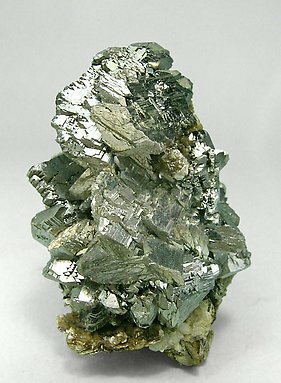 Group of very well defined and bright crystals of Arsenopyrite with small crystals of Muscovite and white Siderite. 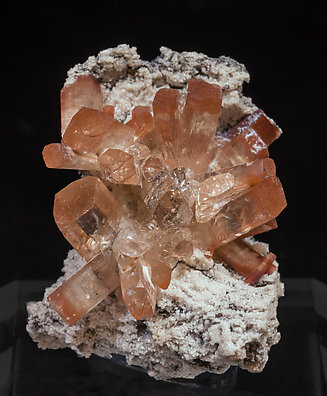 On the bottom of the specimen there are a group of small crystals of Topaz. 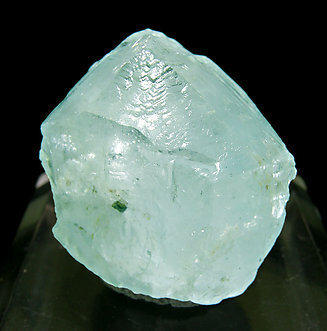 Although in the past some Topaz appeared in this mine, they are actually extremely rare. 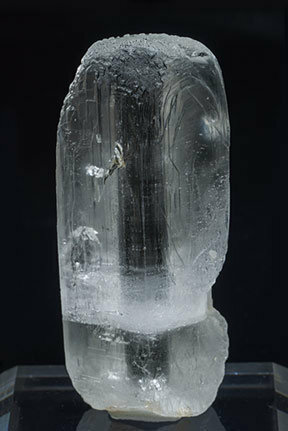 Very well defined crystal with dissolution forms and fibrous white undetermined inclusions. 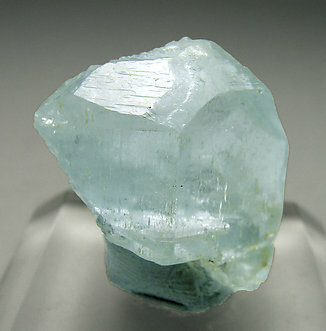 We specially note the locality, the only Spanish locality for gem topaz in notable quantity. 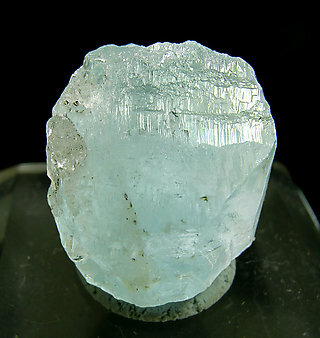 A clear crystal with an excellent color. It has very neat faces and some have have striations and other growth forms. Classic Spanish locality (but not very well known) that produced few samples of such quality. Topaz crystal with good color and transparence from a Spanish locality that has became a classic. Well defined faces and edges, with thin vertical striations. The piece is accompanied by a handwritten label from the Folch collection that we will send to the buyer. 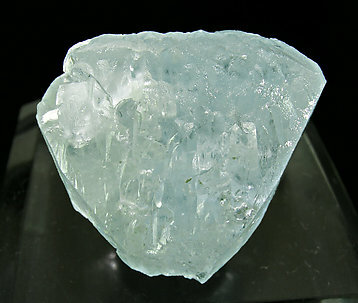 Clear crystal with an excellent color. It has very neat faces and well defined terminations with some different growth forms. Classic Spanish locality (but not very well known) that produced few samples of such quality. Floater group of Topaz crystals unusually sharp and all doubly terminated and complete, transparent, very bright and with parallel growths. 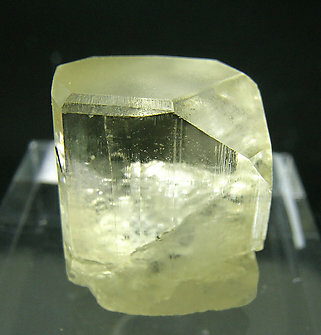 Doubly terminated and large (for the locality) crystal, with growth lines and very well defined dissolution forms. Its blue color is more intense than usual in samples from Virgem da Lapa. 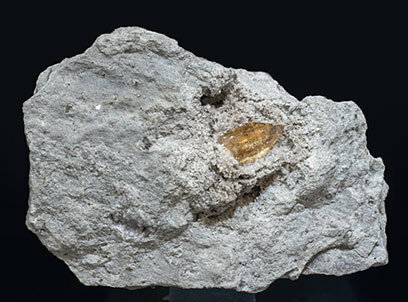 It has small aggregates of leafy Muscovite crystals. Small spheroidal aggregates of cubo-octahedral Fluorite crystals, with a color between blue and lilac, that are partially coating the faces of a group of clear and bright Quartz crystals partially coated by Chlorite, with Arsenopyrite crystals, small Muscovite aggregates and an aggregate of Topaz crystals with very well defined faces and edges. The upper levels of Panasqueira are currently offering surprising and pleasant novelties, with samples that are very different from what has been known from this mine. 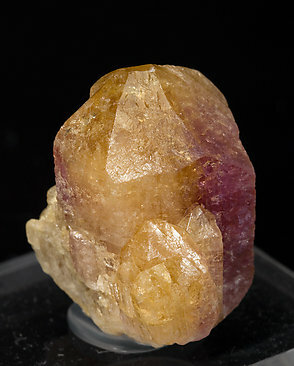 Single crystal with very well defined faces and edges, partially doubly terminated, translucent and with two well marked and contrasting colors, a dominant honey yellow and an intensely pinkish - almost mauve - shade at the right of the prism. Group of Topaz crystals on a matrix of volcanic rock. They have very well defined faces and edges and pinacoidal terminations and they are transparent, bright and have color zoning, deeper and more concentrated in the terminal areas. A Mexican classic. The sample is from the Daunis collection whose label we’ll send to the buyer. 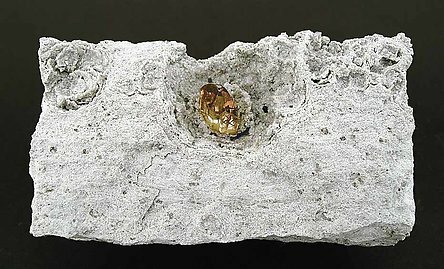 A very fine crystal on a rhyolite matrix. It is very sharp, with very well defined faces and edges, an excellent luster and very transparent. Floater and doubly terminated crystal. 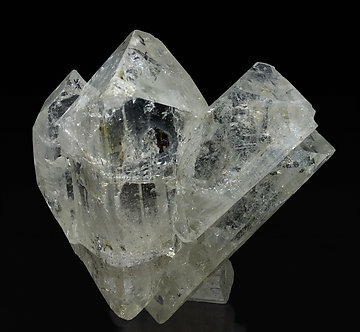 It is transparent and colorless, very bright and has polycrystalline forms on both terminations, suggesting that it must be from Teófilo Otoni area, although we cannot be sure of the locality. The color it is exceptional, between deep pink and reddish with honey yellow shades. It has very well defined faces and edges, an intense luster and excellent transparency. 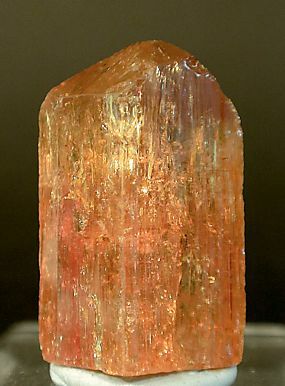 Unlike the orange “Saramenha” Topaz, a classic locality, this has a neat fluorescence. 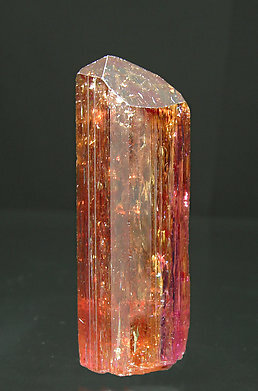 Within a pocket in the typical riolite matrix there is this very luminous and upright Topaz. 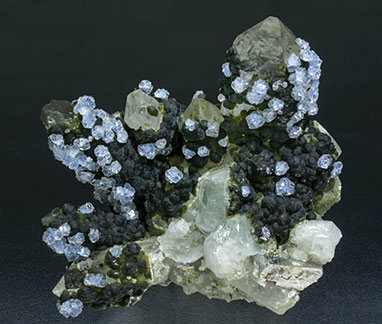 Small crystals of Quartz and Bixbyite accompany it. All of it is very brilliant and bright. 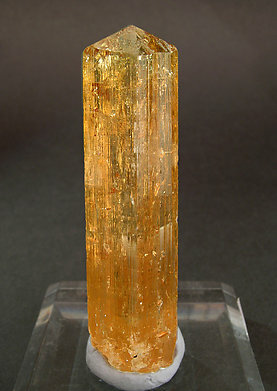 Miass is one of the best known classic localities for the species, but contrary to the usual blue color for Topaz specimens from there, this crystal shows a lively yellow color. The transparency, brilliance and definition of its crystalline forms are excellent. 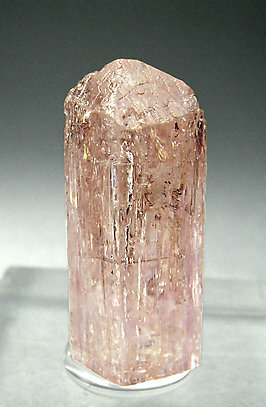 Very transparent “Saramenha” Topaz with an uncommon light lilac color, and pink to violet tones. A gemmy miniature. 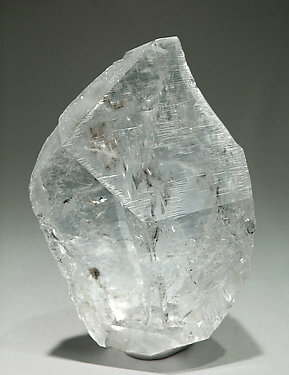 A colorless topaz specimen with an irregular growth but with well defined faces and edges. 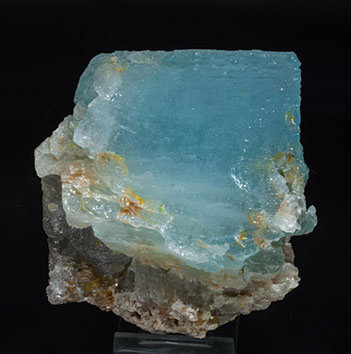 We would like to emphasize the locality, very unusual for good sized Topaz crystals. Really huge (for the locality) Topaz, with some other interesting things: the color is more 'chocolate' than usual; the transparency is better than usual; and it shows a curious inclusion, probably by sandstone, in its center, very visible due its high transparency. One of the best for this locality, in my opinion. 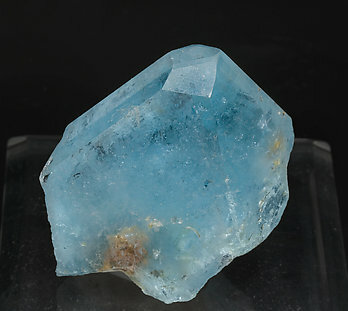 Gemmy blue Topaz, with a very rich color, very sharp but with several "scars" (contacts, rehealing...) that are typical of pegmatite minerals. 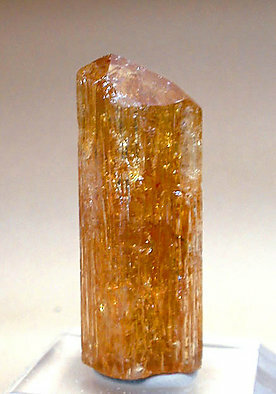 Topaz crystal with intense color and good brilliance. With a complex termination very rich in faces, where we can observe at least two pyramid forms and the pinacoid, along with two prisms. The base is a cleavage surface. 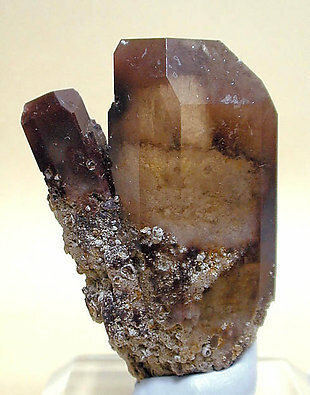 Lustrous Topaz "Saramenha" (Imperial in Spanish) with good transparency and color. 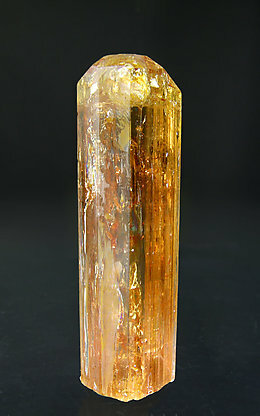 Lustrous Topaz "Saramenha" (Imperial in Spanish) with sharp undamaged tip and good transparency and color. This single crystal is undamaged. Development of faces, both prism and the tip pyramid, is very good, with excellent color and brilliance. 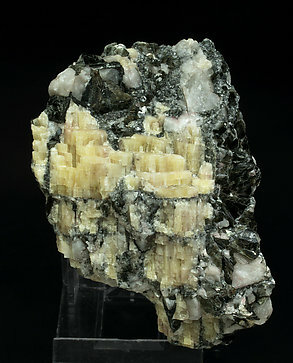 Typical parallel growths, between columnar and fibrous, with uniform yellow color and on matrix, with Quartz and Zinnwaldite. 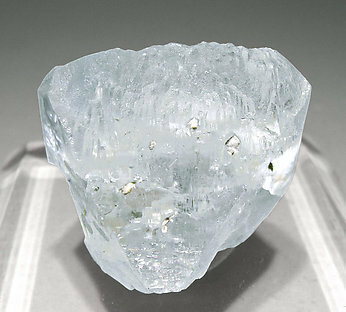 This kind of Topaz, historically well known, as the variety, pycnite, is a classic of German mineralogy.